From left: Romina Scicluna, Zanna Mercieca Cali, Steve Mercieca, Fabio Zuccaro, Mark Sant Cassia, Rossana Piscopo and Michael Mercieca. Winners of the 2018-2019 European Property Awards celebrated their success as they collected their accolades at The Royal Lancaster, London. QuickLets won the Best Letting Agency in Malta Award, achieving five-star status for their nomination. 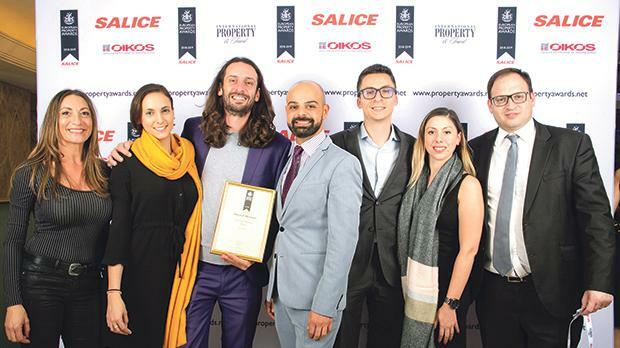 Top property industry professionals from across the fields of interior design, real estate, architecture and property development proved themselves to be the very best in their category. The inaugural International Property Awards were presented in 1993. Lord Best and the Earl of Liverpool presented the awards on the night following a full-day conference where professionals networked and presented their best projects. QuickLets’ first listing went live in 2013. Since then, the firm has grown from a one-man job to a group of over 240 letting specialists. It has also built a large live letting database, a landlord list of over 10,000, and is also the mastermind behind the Virtual Agent concept. “When we founded QuickLets, our aim was always to offer the real estate industry a specialised property rental service by focusing on establishing ourselves as the go-to estate agency on the island,” said QuickLets CeO and co-founder Steve Mercieca. “With the hard work and consistent effort of our awesome team, we have managed to achieve this. Having an international awards agency put a stamp on our success makes us all feel very proud. I’d like to publicly thank our co-founders, team, clients, family and friends who have always believed in our vision, he added. QuickLets, alongside Zanzi Homes, forms part of the QLZH Group. Earlier this year, the group was also the winner of the Entrepreneur of the Year Award by the European Business Awards in Warsaw.